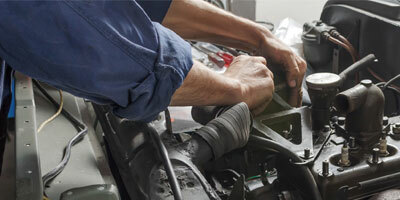 AV Bumper to Bumper understands how important it is for you to know your car is in the hands of trusted experts. Following the simple philosophy of providing quality work at fair prices, AV Bumper has become Lancaster, California�s most trusted choice for automotive repair and service. AV Bumper to Bumper understands how important it is for you to know your car is in the hands of trusted experts. Following the simple philosophy of providing quality work at fair prices, AV Bumper has become Lancaster, California’s most trusted choice for automotive repair and service. Customers know that anytime they drop off their vehicle at AV Bumper to Bumper, our skillful mechanics and machinists will quickly diagnose the problem and get their vehicle or machine running smoothly, as soon as possible. Our dedicated and diligent staff raises the bar when it comes to expertise and service. Invest in the longevity of your vehicle, contact AV Bumper to Bumper today!